Mark raised the issue of the vessel during the question session in Parliament yesterday and had asked what fees had been paid to international experts used in the international search for the vessel. Imbert responded that no fees were paid to anyone to search for or identify the vessel. Mark asked what were the circumstances that led to the company Sealease being the broker for the vessel. Imbert said Sealease was not the broker but the owner. Mark then asked if one of the brokers was International Brokering Services, whose CEO is John Aitkenhead. Mark asked if Imbert agreed the vessel was old (one year and about four months) before he and the Government got in contact with the vessel and the real value should not be $17.4 million, but $8 million. Imbert responded that sea trials, the final stage of construction, for the previous owner were in September and October 2017 and Government made the decision to buy the ship in November 2017. He said it had two international valuations, one for $19 million and the other way in excess of that, and therefore the vessel was worth far more than what Government paid. 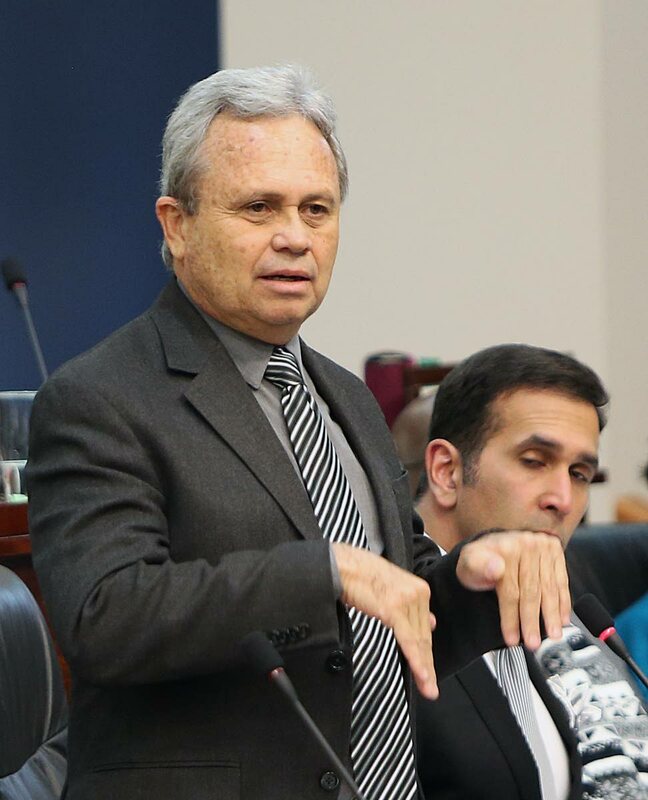 Mark then asked if Imbert agreed there should be a criminal forensic enquiry into the vessel’s procurement, but Imbert responded that given the cost of the vessel and the two international valuations, he could only describe Mark’s statements as falling within the realm of madness. Mark responded: “If I am mad I have a cousin. because he is more mad than me.” Senate Vice President Nigel De Freitas said he did not know if it was the long Easter holiday, but it appeared the Senate could not get through the normal procedure. Reply to "Imbert: Mark’s call for Galleons Passage enquiry ‘madness’"